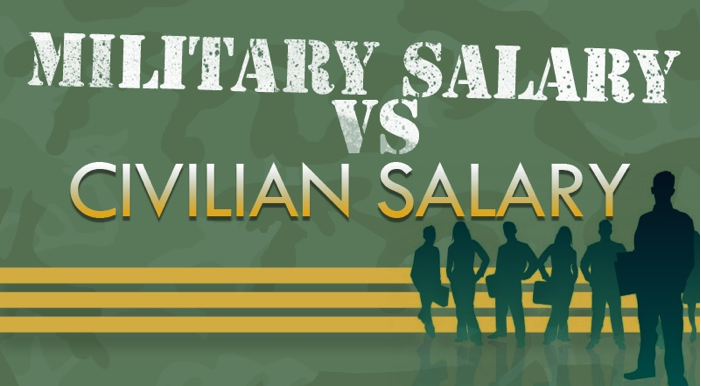 In my last Think post, I talked about the growing disconnect between the civilian world and the military world and how that relates to homecoming exploitation. Unfortunately, that kind of exploitation isn’t the only type that’s out there. If you haven’t heard about it, there has been some controversy in the American media regarding military benefits and pay, particularly recently. A Huffington Post article published at the beginning of this year titled “Defense Budget Faces Cuts to Personnel After Decade of War” talks about ever-expanding cost of military personnel and the “lavish” benefits they receive (the word “lavish” was edited out later, I’m assuming after the backlash of anger hit them square in the face). Simply put, this article floored me for many, many reasons. First of all, the 15 types of ketchup comment is plainly ridiculous. I’ve been to a few commissaries around the country in my day, and I have never seen 15 kinds of ketchup on the shelves. This blatant hyperbole on the author’s part serves no purpose except to inflame the general public regarding the “excesses” the “elite” military community has access to and rile civilians up since this is all on their, the taxpayers’ dime. (No one mentions how the military has to pay taxes as well, but that doesn’t serve the author’s purpose so it’s clearly not relevant!) But seriously, guys. IT’S KETCHUP. Someecards are just perfect for my snarky mood. Not only that, but comparing a normal, average 9 to 5 or 8 to 5 civilian job or even a civilian job with odd hours and lots of overtime to the jobs of military personnel is ridiculous. I really don’t think people understand just how much service members actually work, and not to mention how much of that work they don’t even get paid for. 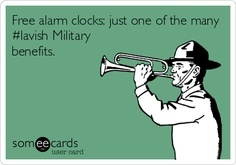 There isn’t any overtime in the U.S. military, so there isn’t any overtime pay. Your CO decided you needed to work a few 16, 18, or 20 hour days this week? Doesn’t matter, your pay stays exactly the same. If military members were compensated for the actual amount of work that they did, then they would absolutely be as rich as civilians imagine they must be. But unfortunately, that clearly is not the case. …A fair report, a fair national discussion, would look at the actual, real, factual numbers related to military personnel spending and would include actual, real, factual reporting on the experiences and the sacrifices milfams and service members make on a regular basis. What exactly is going on here in the U.S. when the kinds of articles like the one from the Washington Post are being published? Is this a case of the attitudes of the general populace dictating the pen of the author, or is it perhaps the author attempting to influence the masses? I honestly don’t know, but I do find it scary, especially when things like benefits are on the line for those actively keeping our nation safe. We’ve been a nation at war for twelve years now. TWELVE years. When you have a war, people have to fight it for you, and when people have to fight it for you, you have to pay them. 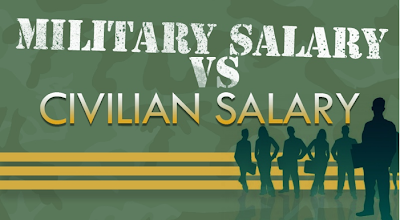 The civilian populace is feeling out the difference between their pay and the pay of the military, and many don’t like what they’re seeing, especially in terms of the benefits. They see it as unfair, unbalanced, and wrong. But if those civilians truly don’t believe that military members actually deserve those benefits or deserve equal pay after fighting and sometimes even dying in those wars to defend this country, what exactly does that say about those civilians? 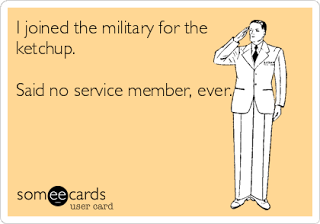 What kind of people does that make them if they feel that service members are “less than” them? Definitely not the kind of person I’d want to fight for. Personally, I feel that a lot of misinformation and bias is being floated around in the media now, and, just like in every other situation similar to this, we have to be vigilant and on the look out for the truths among the falsities. We also have to understand that there are some things that are just plain wrong, and in my opinion, threats like this are a slap in the face to everyone who is serving or has served in our nation's military. A Visit from My Parents!